Plot twist! This week's letters to the editor are all positive! – J. Plot twist! This week’s letters to the editor are all positive! I just wanted to share a thank you for the “Israel at 70” section. I enjoyed seeing the many perspectives in one place and seeing old friends in print. While there is a deep connection and a direct flight between the Bay and Israel, the connection goes much deeper. From arts to advocacy, from technology to teen trips, our two lands are inseparable. These essays proved the breadth and diversity of those connections. I would encourage all to come visit Israel during this special anniversary and write your own story. 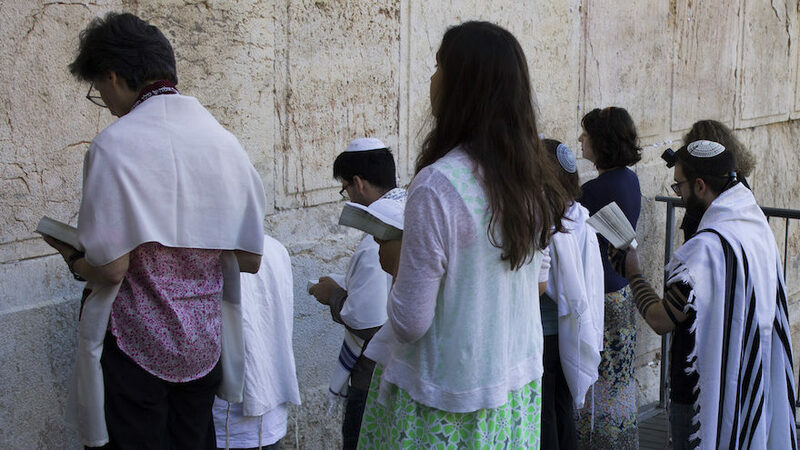 I want to especially thank you for including the essay from Oakland Hebrew Day School alumnus Max Bamberger on the powerful two-day period of Yom HaZikaron and Israel Independence Day in Israel. Having just experienced it myself for the first time, I can share his sentiment that the sadness and joy of the two holidays are inextricably linked and profound in ways beyond measure. Let’s give a hearty yasher koach to editor Sue Fishkoff for “A disappointing encounter with the limits of dialogue,” which describes her interview with Arab Israeli Knesset member Haneen Zoabi. Yes, the encounter was as sobering, as she described it. 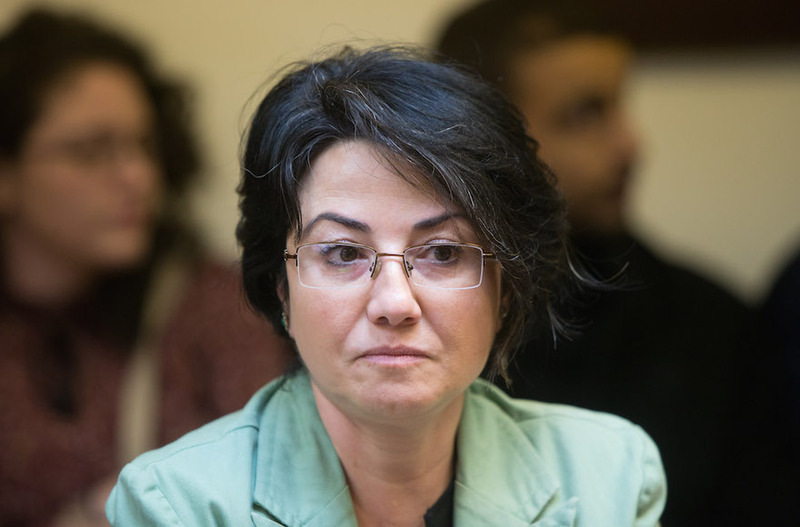 But Ms. Zoabi’s views likely represents the attitude of some substantial portion of Israel’s Muslim Arab population. 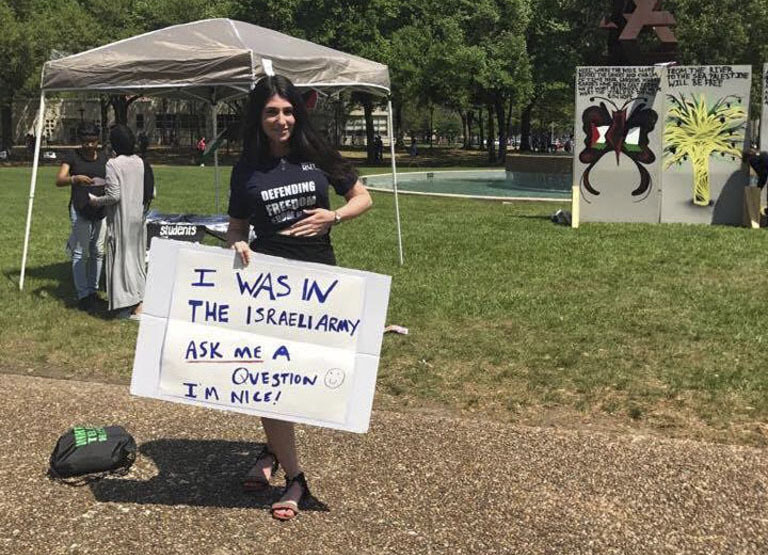 Her apparent justification of the kidnapping and murder of three Israeli teenagers, support for Hamas rocket attacks on Israel, denial of Jewish peoplehood and willingness to accept two states as long as one is Palestinian and the other is “secular,” i.e., not Jewish, are striking. We must recognize that the views of this Knesset member are beyond the scope of our “normal” discussions about the conflict. As such they suggest that it is incumbent on much of the American Jewish community to adjust their assumptions to meet the actual reality with which we are presented. Sue Fishkoff, while expressing her personal disappointment (“this conversation was shattering”), has shown great integrity and intellectual honesty in accurately reporting Ms. Zoabi’s existential opposition to Israel. However disheartening this encounter may have been, she has fulfilled the first responsibility of a journalist: to tell the truth as it is, not as she would prefer it to be. 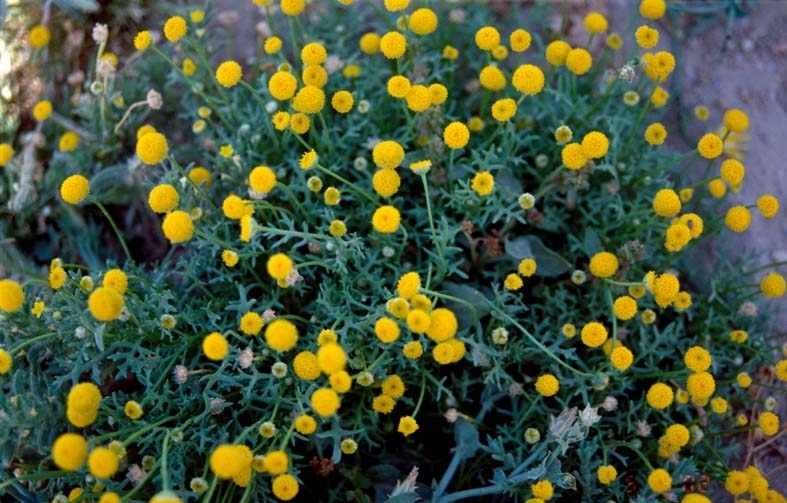 Yasher koach Sue. Haneen Zoabi wants equal rights. She wants to live in a democracy, a state for all of its citizens, a state that does not discriminate against any ethnic group. At her UC Berkeley appearance, she expressed this with tremendous clarity. But in her report, Sue Fishkoff describes this stance as “shattering. I acknowledged her pain, and she did not acknowledge mine.” Fishkoff does not explain her opposition to equal rights and democracy; we are expected to just understand. Perhaps her intended audience does take it as a given that applying those principles to Israel is unacceptable. It’s hardly surprising, though, if a Palestinian does not. True compassionate listening would require holding the idea that Jewish lives and Palestinian lives are of equal value — not “acknowledging” Palestinians’ pain while insisting that they must remain subjugated to Jews in a discriminatory system. Re: Sue Fishkoff’s superb interview of Arab Israeli lawmaker Haneen Zoabi, there is so much one could say about Ms. Zoabi’s outright rejection, under any circumstances, of a Jewish state. Perhaps the one I would pick is that it’s only because she lives in the Jewish state that Ms. Zoabi has the freedom to question the very foundation of her country. Anywhere else in the neighborhood, that kind of view would spell the end of one’s survival, political and otherwise. Thank you Sue Fishkoff for your courage to sit down and talk with MK Haneen Zoabi and your courage to write about it in J. While I don’t see the region through her eyes or politics, I cannot help but feel pain for her and for her people. There is more to say about my complicated feelings about Israel and about the many populations. But what I want to say is that I don’t have complicated feelings about J.: Thank you for the free press that runs stories that are real. That are messy. That point out the complexity of Israel. I appreciate J. for publishing a variety of voices and experiences that help us to own together that Israel is a complex relationship. And for those of us who wrestle with our feelings about the state and about Zionism and about the history of the last century, we don’t have to closet our feelings or feel cut off from Jewish community. Thank you for your courage. Thank you for meeting with MK Haneen Zoabi. And thank you for publishing your account of that difficult meeting with her in the pages of the Bay Area Jewish news. I’m glad Sue Fishkoff discovered the “limits of dialogue” with MK Haneen Zoabi. MK Zoabi is indeed angry. Israel has dispossessed her family and brutalizes her people on a regular basis. MK Zoabi is aware of Jewish pain but understandably doesn’t want to hear about it from the same people who are inflicting pain on her. We see this dynamic on campus all the time. 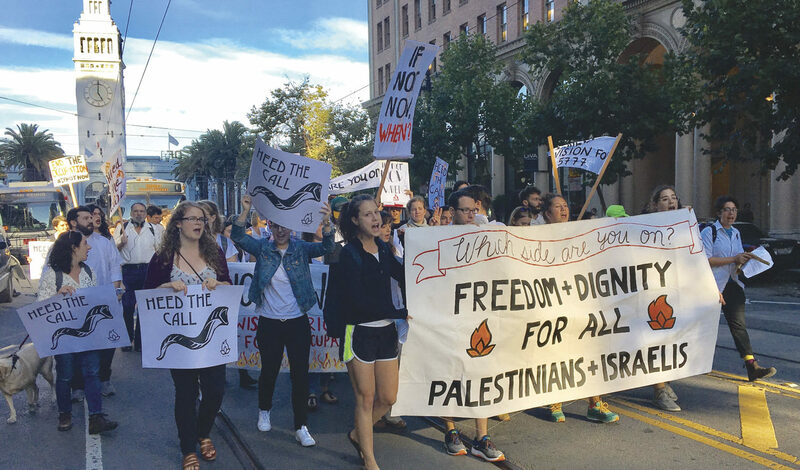 Liberal Zionist students say they want dialogue with Palestinian schoolmates but do nothing to oppose Israeli oppression of Palestine. Then they’re surprised when Palestinians don’t show up for dialogue. If Ms. Fishkoff wants a real dialogue with people like MK Zoabi, there needs to be remorse and compensation for past offenses, action to stop current Israeli crimes and an honest commitment to equal treatment in the future. If the vast differences in power between oppressors and oppressed are not addressed, dialogue changes nothing and will never interest many in the oppressed group. The majority of Israelis and world Jewry want a two-state solution if it can be achieved because it is in the best interest of the Jewish people to have a democratic and Jewish state. Any reasonable person understands that if the Palestinian leadership wanted a state, they would have one — if they accept the existence of Israel as a Jewish state. This is precisely why the Palestinian leadership doesn’t want a two-state solution and has never wanted one. The Palestinians and/or their Arab benefactors rejected statehood under the condition of having to concede Israel’s rightful existence in 1948, in ’67, in ’78, in 2000. Promoting people like Haneen Zoabi, as Berkeley and San Francisco do, is a none-too-subtle embrace of her explicit agenda to destroy Israel. I’m not surprised that compassionately listening to such a person is devastating for a Zionist. Sometimes good intentions do more harm than good. Those who would try appeasing a Nazi Germany or a Soviet Union in the name of peace have lost sight of the meaning and cost of freedom. We all know that the rule of law and freedom of speech that Zoabi enjoys in Israel and the USA does not exist anywhere in the West Bank and will never exist in any kind of Hamastan. With reference to “A disappointing encounter with the limits of dialogue” by Sue Fishkoff and her talk with Palestinian member of the Israeli Knesset Haneen Zoabi, I would like to ask: What about Native Americans getting their American homelands back? Are Europeans, Asians, Middle Easterners and Africans who are occupying them willing to give the land back and go back to where they came from? Practice what you preach.